Every so often I walk into a property that's an obvious flip. 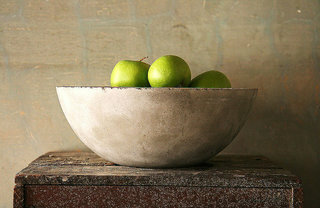 Along with smelling wet paint, and seeing an artfully composed bowl of green apples, one can instantly assess the travesty of poor design choices that any end-user, if they stopped and reflected for a minute or two during their to-the-studs-renovation, would realize they're just not the ideal choice. In this instance, the flipper picked up an ubiquitous west-side 2-storey semi for just over half a mil and dropped a pretty penny rebuilding the entire house. In fact, I applaud his attention to detail in digging out the basement so it has a decent ceiling height, but it was on the main level where he made 2 critical errors. The first was his decision to sacrifice the dining room in the centre of the main floor to install a powder room and a closet. Where a round dining table could have otherwise served the needs of a Buyer who dreams of entertaining, instead there's a very wide corridor between the living area and the kitchen. 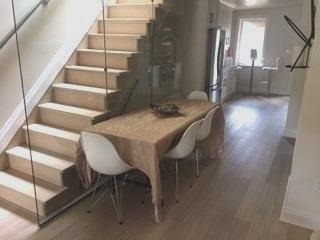 It's all well-crafted but the lack of a dining area is killing this sale. 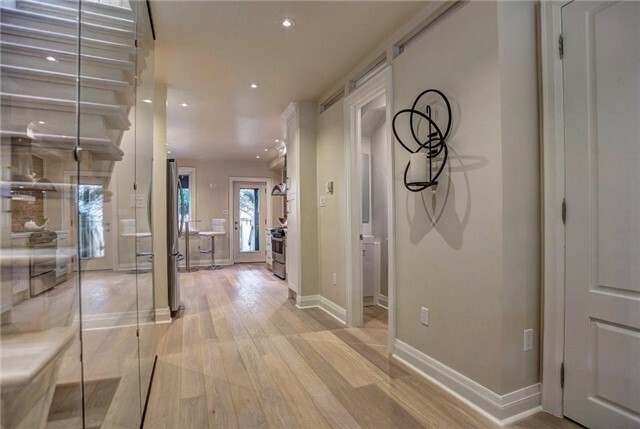 A photo recently appeared on the MLS listing with a table squeezed into this 'hallway' but, really, who wants to dine next to a washroom (and sit awkwardly)? There's another flaw in this flip too. 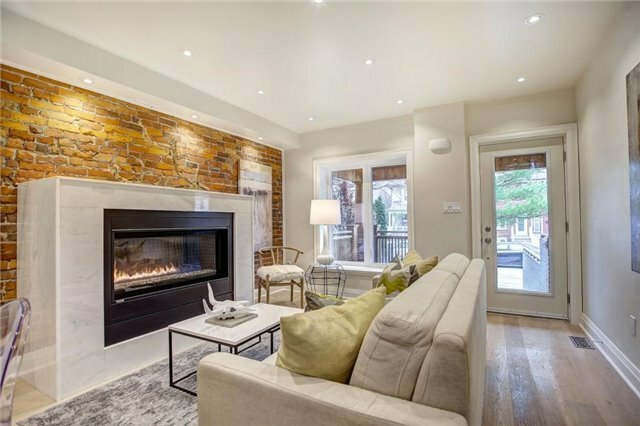 The flipper decided a Buyer would probably really really appreciate a monolithic gas fireplace that swallowed the living room. This beast of a fireplace is about two feet deep, as long as a sofa, and covered in glossy marble. It's too tall to put anything on it as well, which is a shame really. It would have been better placed in the lower level where the gas fireplace could warm up the basement media room for movie nights with cognac, popcorn and a lover. My heart goes out to this flipper, for he has good intentions. But in his quest to slather the place with some bells and whistles (A powder room on the main floor! A gas fireplace in the living room!) he compromised valuable square footage while sacrificing function. The $1.1m list price has already come down $100,000, but these drawbacks are going to penalize the sale. It's almost worth removing them to secure a sale. Some other bad decisions by flippers? This post called We Flip Burgers, Not Houses featuring a vintage Abba video rails about my disdain for recessed lighting overkill (you can see in the photo above this flipper also went overboard on lighting - note to self: recessed lighting is intended to direct light on Art)! In We Flip Flapjacks, Not Houses I reassert my frustration over many a Flipper's inclination to buy absolutely every interior finish at one Big Box Store (same old, same old), while in We Flip Quesadillas, Not Houses I weep for a costly yet poorly executed kitchen. Wanna giggle? You might also enjoy these past blogs called Stains On My Windows (about pressed steel front doors and faux stained glass film), Staging Nightmare (about the ever-present Tip Lamp) and Glass-Bowl Sinks Make Me Scream (a maintenance horror-show). Are you trying to avoid making critical flaws while garnering Top Dollar for your Home? At urbaneer.com, we can guide you from start to sale as part of our sterling listing service, including FREE Style Enhancements! Want to know more? Just email Steve@urbaneer.com or call 416-322-8000!